Hello from Emerson to all Tripawds! Emerson down at the beach. Emerson’s osteosarcoma collapsed just before Christmas 2017; we amputated within days, before the cancer diagnosis was confirmed by pathology, which made it a very difficult decision, relying primarily on X-ray analysis. But the pain was clear and awful, and waiting was not an option. As it was, it came through as a low-grade tumour, no sign of mets, and still no sign of mets. The post-op nights were bad – we had Emerson at home the day of the op as Deanna was a qualified vet nurse at the clinic where the operation took place, and the vets felt he’d get the best full-time attention at home, which he did, we barely slept in days, taking turns sleeping with him on the floor. The whining, the panting was awful, and it was during that, while Googling around, we came across Tripawds. Some of the nuggets of wisdom we found, from Jerry & the team and from those who had shared their stories, helped immeasurably. One note on the possible effects of a particular pain killer was especially helpfu,. and lowering the dose (under vet advice) seemed to help greatly. Together with his ongoing recovery, we had a quite joyous 2018. Those slow-motion days before and during, where we didn’t know if he’d make it, they changed my life in focusing on what matters; I’ve not been quite the same since. I spend as much time as I can with Emerson every day, though really, I did that anyway. What’s better time spent than hanging with your dog? We’ve been fully aware that every day is a bonus, and that life post-op can be cut short at any time by a complication, by metastatisation, by quality of life dropping below the threshold at which an intervention has to be made. We were lucky to be part of a groundbreaking cancer vaccine trial here in Sydney, and to have top-notch vets at our clinic. 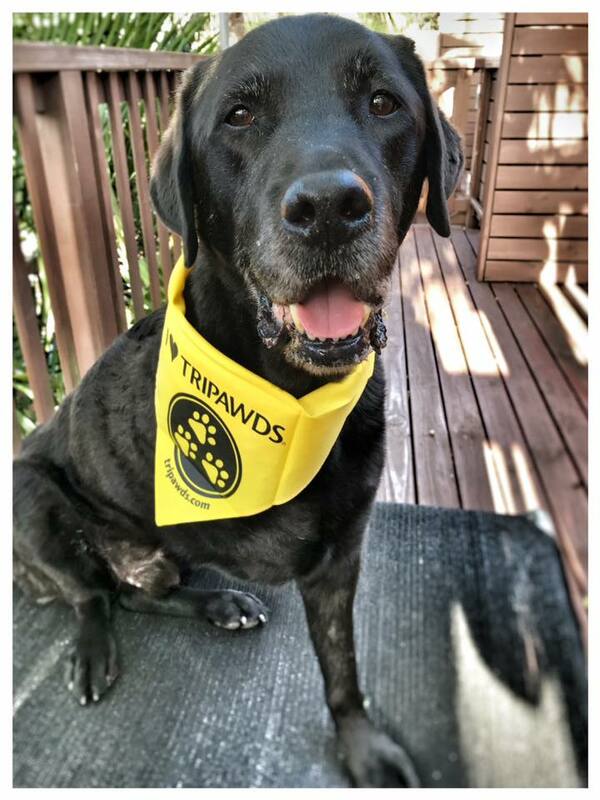 To all them, and to the Tripawds community, our endless thanks! So far, he’s done so well. We’re down at the park by the beach dunes (they can swim in the lagoon) as many days a week as we can; many of you will know how popular a three-legged dog can be at a dog park, and how children react, and Emerson is a great dog for them to come and meet – we raised him as a guide-dog puppy, and he failed for being a bit too bonkers, but he’s exceptionally good with people and children. There was even a retriever called Bo, which was another tripawd, with his back leg missing. Can’t say there was any sense of recognition between them, but it was great to meet the owners. 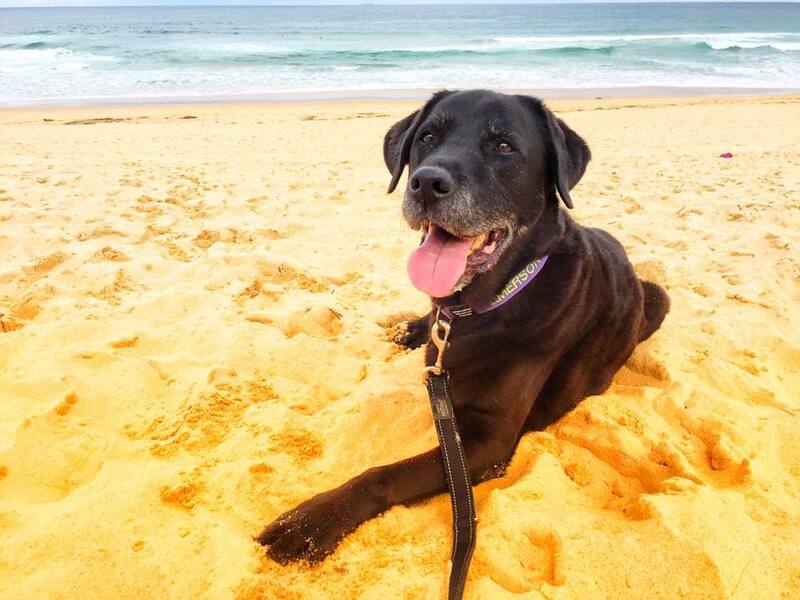 Very sadly, I met Bo a month or two back being taken on his final walk, as after six months his cancer had spread. That was a sad sad day. So thanks to all, and especially for anyone reading this site during or pre-amputation, don’t think of it as a non-option. It’s humans that freak out about three-legged dogs, they can be absolutely fine about it. The chemo is not like chemo for humans, the side effects are far less severe, indeed we noticed none at all. If you can get on a cancer vaccine trial, so much the better. If they can have a good quality of life, and love doing stuff like Emerson, don’t think twice. Our love to you all! Vid here, if you can see it! P.PS I forgot to include this pic! Oh my heart is going pitter patter! That boy is so darn handsome and inspawrational and EVERYTHING we hope that our heroes get to enjoy after the hard part of amputation recovery is over. THANK YOU for returning to share a pupdate, and let us know that there is life after losing a leg. He is such a joyful boy! And you are very fortunate and wonderful humans. May Emerson and all of you have many, many more good times ahead. Live in the now! Be More dog! And life is good. Give him extra smooches from us!! Our dear girl Hershey had her right front leg amputated due to cancer 2 years ago. It was the hardest on her humans…I’m a doctor and she comes with me to work and is everyone’s favorite staff member. She is a pit bull and was already a breed ambassador but now even more so…and we celebrate every day we have with her (she’s about 10). She is my heart, and she reminds me of what’s important in life. Lucky Hershey, coming to work every day! Emerson would love that – he’s home alone two days of the week, poor boy, and darned near wags the place down when we get home. Two years, wonderful! Long may be she carry her Ambassadorial role! 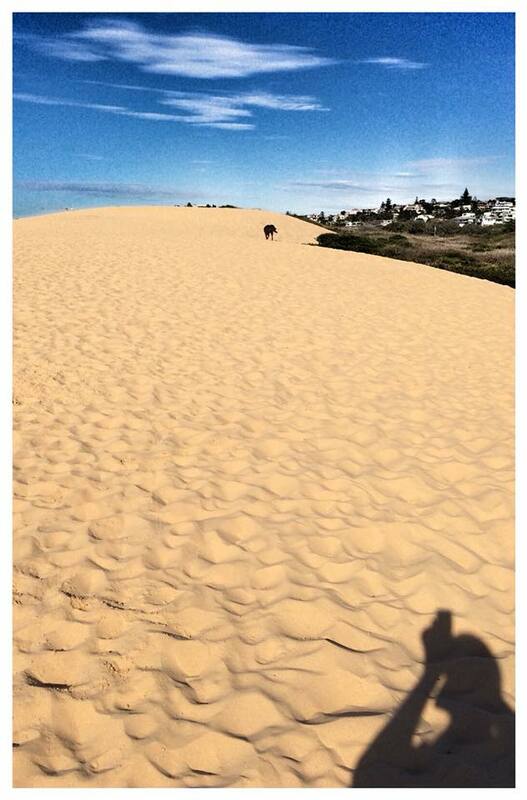 Kelly, I absolutely don’t know, and would follow your vet’s advice on that one, and let your dog set the pace. So sorry to hear – you poor guys and poor dachshund. Emerson sends wags, and our love for the recovery. What a wonderful year for Emerson and your family! My Holden became a tripod on January 9, 2019, and he is taking on the year with gusto! “It’s humans that freak out about three-legged dogs…..”, not the dogs themselves. That will be my new motto!! Thank you Ann! Wags to your tripawd, and glad you found the community here. We picked up the ‘Three legs and a spare’ phrase from here, which is a great way of explaining it to children. I thoroughly enjoyed reading every single word as you chronicled Emerson’s joyful life as a tripawd! And the insight you shared about the lessons of enlightenment you have learned from this journey are so nicely expressed. Yes, we do become”awake”. Well said. Everyday with our tripawd is an excellent day! Nothing else really matters. These pictures are beautiful sacred treasures. They will always have these to remind you of why we do what we do and how our dogs just get on with living life to the fullest!! Thanks fot such a great blog post on so many levels. And put me in line for the smooches yo Emerson! Love this dog!! Thanks so much for your kind words Sally! A lovely thought re Bo. Love to your extended family! 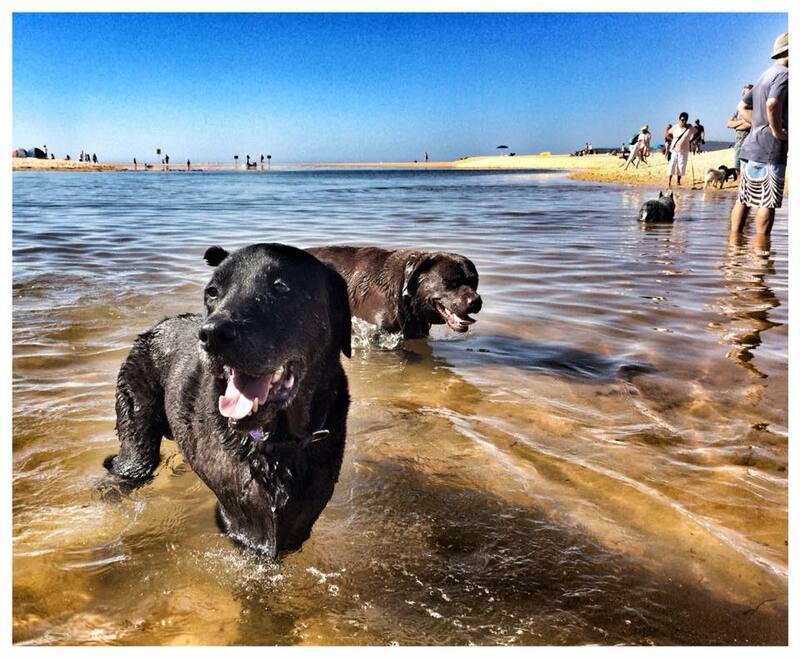 Emerson in Sydney, Australia is brought to you by Tripawds.